IF TAIMI Hassinen could speak she would be tickled pink. 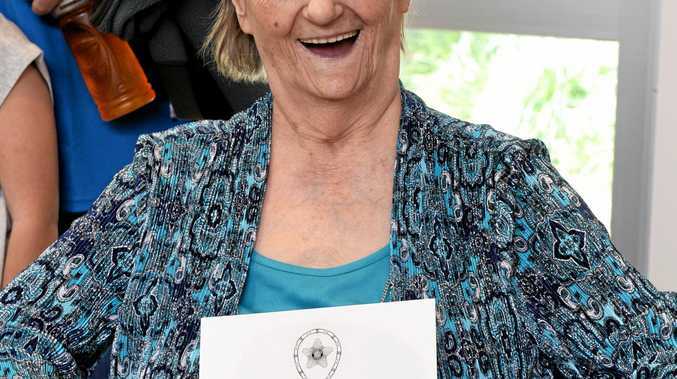 The 89-year-old's efforts on the front line in Finland in the Second Wold War were recognised this month when she was awarded the First Class of the Order of the White Rose of Finland. 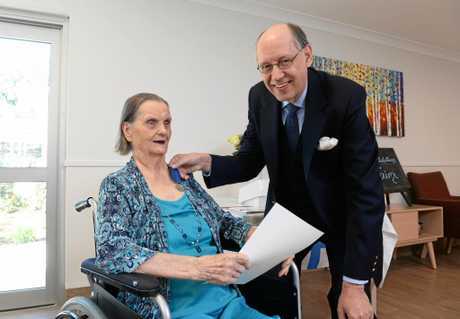 The war hero, who now calls Brassall home, is unable to communicate verbally after a stroke but that didn't stop her from showing her emotions with a beaming smile when Finnish Ambassador Lars Backstrom presented her with the medal. It was on the front line, where Taimi worked in the mail room and kitchen, that she met her husband Affer. She worked in the war from 1943 until it finished before they migrated to Australia with their four children. "Pop was working in the mines for a while in Mount Isa, he was timber man underground, and then later on he went into building houses here and later on when his sons got older they went on to building houses with him," her daughter-in-law Veronica Hassien said. "They were working on the front lines and at the time they were only about 16." Veronica said Taimi would be "tickled pink" by the honour. "She would have been very happy," she said. Veronica said she didn't know why the medals were awarded close to 100 years after the war but Taimi received it with honour. The Order of the White Rose of Finland was established in 1919 as one of the three official orders of Finland. 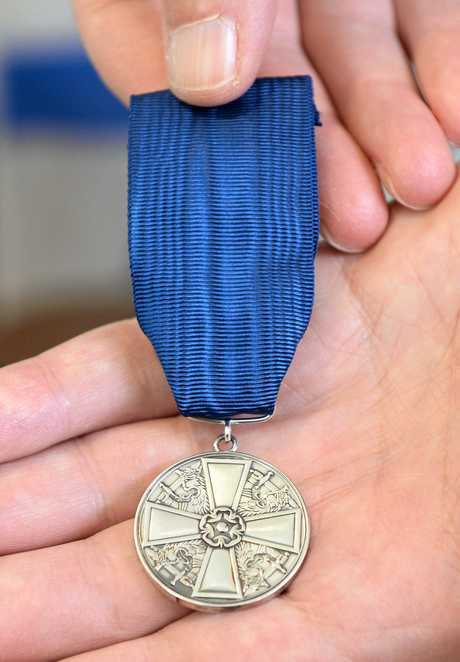 It was Finland's second highest decoration and awarded for bravery or merit of individuals in the war. The Finns fought in three major conflicts in the Second World War, the defensive Winter War against Soviet Union invasion between 1939 and 1940, the Continuation War from 1941 to 1944 and the Lapland War between 1944 and 1945.